This couple is so special to me! Years ago when she was in nursing school, Austin was my babysitter, and now she's planning her wedding and I get the honor of being the photographer! 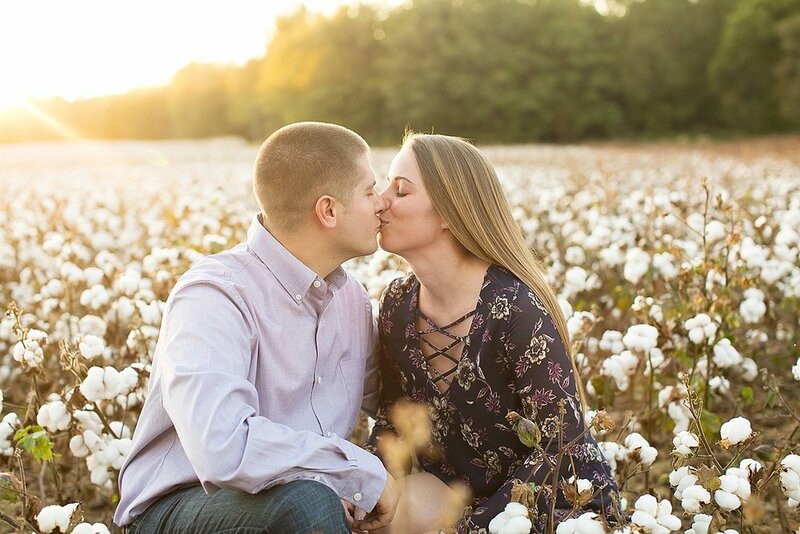 They equally love the beach and country, and since they're having a beach destination wedding, they really wanted to incorporate their love for cotton fields and the country side in to the engagement session. And of course we had to include the fur babies, which only lasted about 3 seconds down at the water location before jumping in for a quick swim. I am very much looking forward to this wedding next year! There is something about a parent/child connection that I adore photographing. 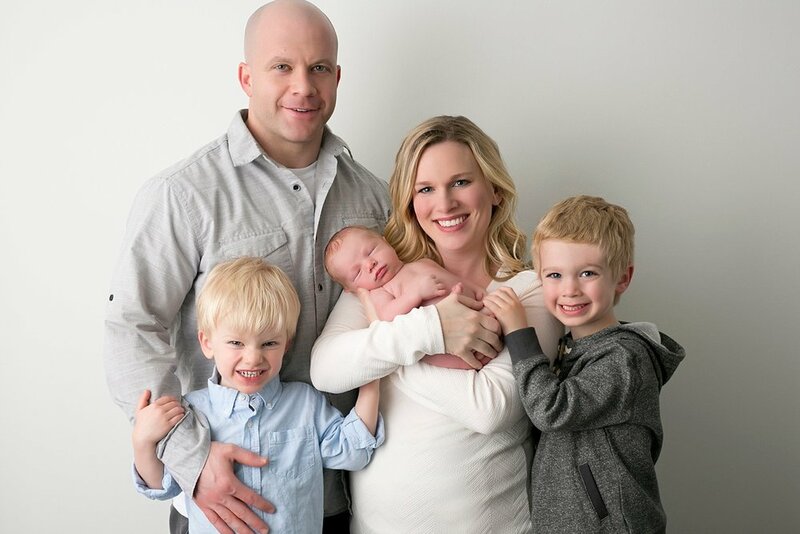 I have been a photographer in the Richmond and surrounding area for almost 9 years, that's crazy to think about just how many families I have had the pleasure of photographing over all of this time. About 6 years ago when I got my first studio, I was able to put the white bed set out that I had dreamed about out as that studio had a perfect double window. The first "bed" I had there was a blow up mattress, but you couldn't tell (until you went to sit on it, ha!) I got to take pictures of my Grandmother there before she passed away. I got pictures with my babies there that i'll always treasure. 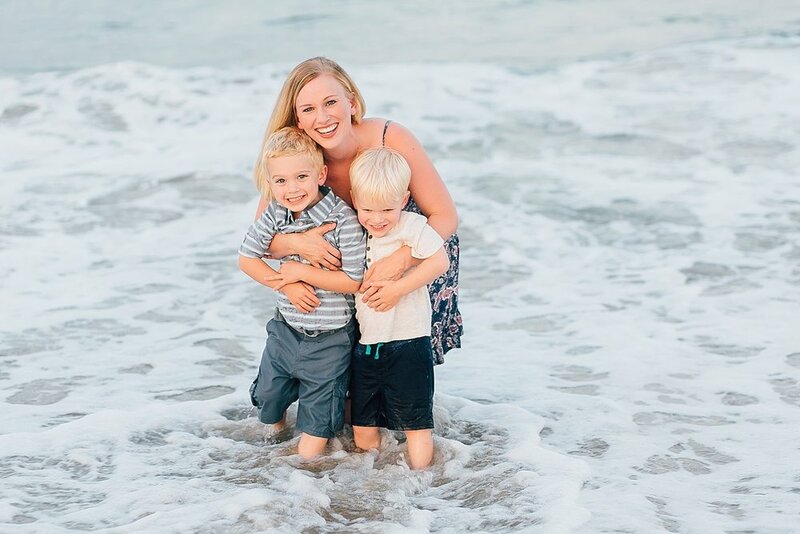 I've captured so many mom-to-bes and babies in that setting, there's something so peaceful about all white so that you and your little loves are the focal point. In my new studio (which I've been in for 3+ years!) the white bed set was the first thing I put up. And I am just as obsessed with it as I was 6 years ago! Here is a peek at a recent "Mommy + Me" session. 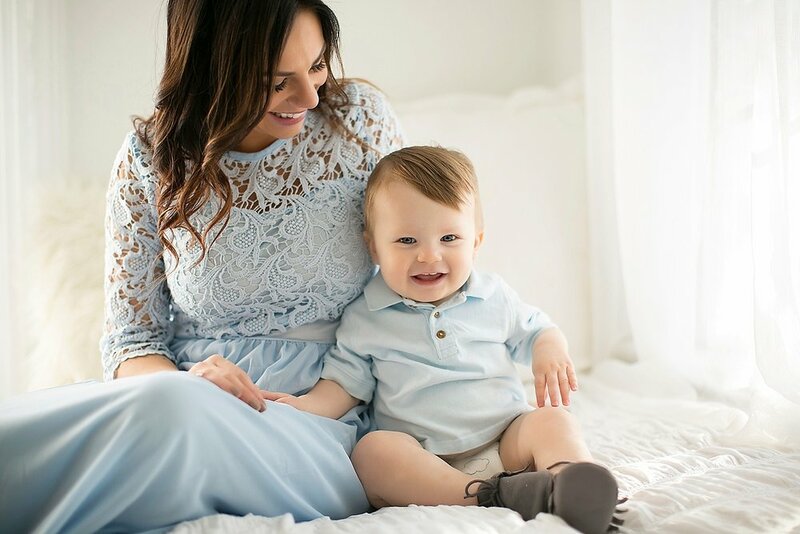 I have ONE more spot left for the mommy + me sessions that will take place on February 11th AND they include makeup for mama from Shine Blowdry Bar! Happy 4th Birthday Luke! I don't know how we got here, it feels like I should still be in the hospital with you recovering from delivery. You are my 'spitfire' child. My perfectly crazy middle child. You are so gifted with sports I am already picking out the tile for the future mansion you will build me when you strike rich. ;) (But if you don't that's totally fine too, I really do love love our current home. Three was a big year for you! You learned to ride a bike without training wheels. You've been doing that for months actually, and i'm still impressed with it! You are SO smart and breeze through 'preschool' work. You are kind and love and protect your baby brother in a way I always dreamed of when I thought of you in a big brother position. You are fearless. The absolute don't give a hoot what anyone thinks kind of fearless. Which both excites and terrifies me. It's only by the grace of God we haven't had to call an ambulance. Let's keep it that way, okay? You are determined. To the extent of stubborn but I know it's a quality that will serve you greatly later in life so I let it go. You are a jokester. Hiding a plastic snake all around the house and just waiting until someone finds it. We had a fun year. From crab hunting late at night on the beach to our first Disney trip, we have lots of great memories to look back on from your year of three. And here we are, your year of four. You were so excited this morning to tell everyone how old you are. You will grow more this year than before and I am so excited God gave you to me. I am blessed because of you. 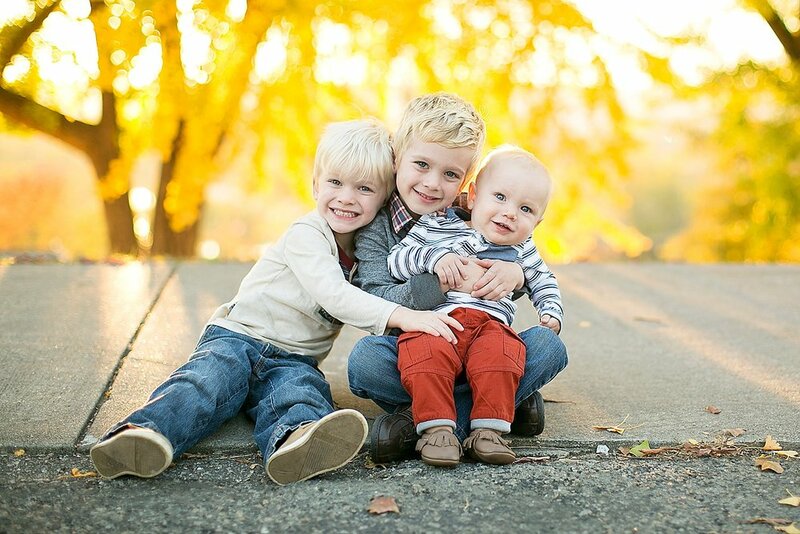 *Fall + newborn pics by me, Beach pics by Andi + Zoe, and Family brennan newborn pic by Nicole Wingo!